SPRING LAKE, North Carolina (WTVD) -- The Spring Lake Police Department says a man wanted in a November 5 shooting has been captured. 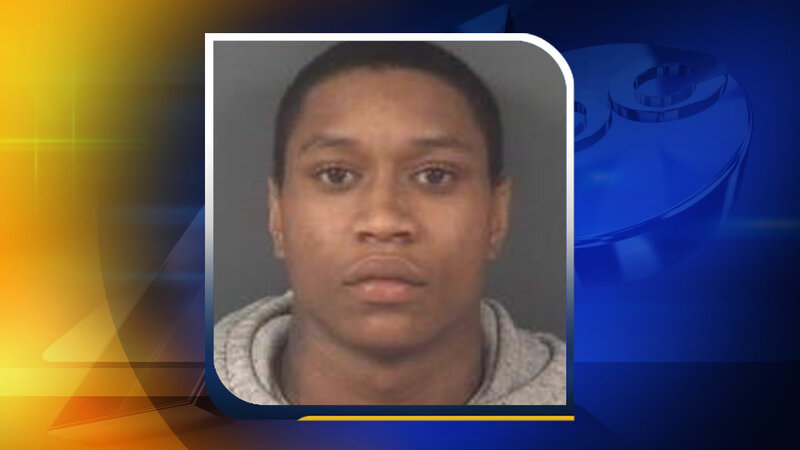 Tuesday, U.S. Marshalls and the Fayetteville Police Department VCAT arrested 18-year-old Devante Shamar Watson, aka "Flip" in Fayetteville. He's being held without bond in the Cumberland County Detention Center. He's charged with first-degree murder in the shooting death of Devante Saquan Tart, who was found dead behind a vacant apartment complex located at 1302 King Street. Detectives have also charged 42-year-old Marisha Britton (Watson's mother), and 19-year-old Jameshia Walker with accessory after the fact to the felony of first degree murder. Police are still looking for 31-year-old Glenn Warren, aka "Unique", in the case. He's also charged with first-degree murder and should be considered armed and dangerous. Devante Shamar Watson, aka "Flip", and Glenn Warren, aka "Unique". The investigation continues and Police Chief Charles F. Kimble said more arrests are likely. Anyone with information on the whereabouts of Warren or the murder is asked to call Spring Lake detectives at (910) 436-0350 or Crimestoppers at (910) 483-TIPS (8477).